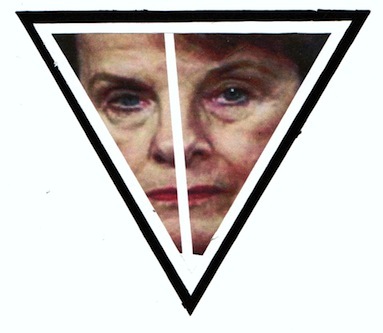 The Senate Select Committee on Intelligence, established in 1975, has oversight responsibility for the 16 civilian and military agencies and departments that make up the U.S. Intelligence Community.” To be fair - Currently Feinstein is still involved, but no longer chairman of the Senate Select Committee on Intelligence. Feinstein’s positions over her entire tenure in Congress leaves her “Open to charges of dereliction of duty”, over all her years, to faithfully execute the constitutional provisions of her office, as she and all the other traitors in the congress have sworn to “uphold”? However she has been the key proponent for totally disarming the American public, through various versions of gun-grab legislation for decades. Her outrageous measures have all been constitutionally illegal. Yet Feinstein is still a huge part of the reason for the fake military to have allowed a creature like Breedlove, to become a four star general, with zero actual experience in the U.S. Air Force. The reason that Feinstein has taken the lead in the current attack upon Hillary Clinton is that Dianne knows all too well just how criminal Hillary’s actions as Secretary of State have been: And all of this could indeed lead back to Feinstein and her illegal actions as a U.S. Senator when she was the Chairman of the Senate Select Committee on Intelligence.. Regarding Clinton’s use of her own private phone number instead of using State Department communications lines for official government actions that must be available to the public to review whatever took place, when Clinton was a serving officer of the United States government: During the murder of the US Ambassador to Libya. 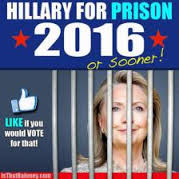 For Hillary to commit such an outrageous crime against the public and the country, by hiding what she did and how she acted during those critical moments that both preceded and followed the death of the U.S. ambassador - should have resulted with Hillary being jailed, instead of becoming just another criminal-candidate for the presidency of the country. Given all the massive security in this country and the world today, it might now be possible to reconstruct what Hillary actually did by reviewing the files on everyone she spoke with, or indeed anyone that she might logically have spoken with during that bit of treason against the United States and Libya. Isn’t that why we have initiated total spying on anyone and everyone in the world today? Let’s use it folks and find out exactly what happened in Tripoli ­ we don’t need to spend a lot of time to demand that Hillary give us the tapes that she’s probably already destroyed ­ let’s just do to Hillary what we do with all the other leaders in the world today ­ only this time let’s put Clinton in jail for her crimes first, while the appropriate spies do their work. In this case the public must demand from Hillary Clinton the full accounting of her actions, as shown by the complete record of everything that she said and did while she was the Secretary of State because in this environment nothing less will do!